The ruling in a highly publicized excessive-force case that was likely to be used by critics of the new police labor contract wasn't announced until Nov. 20, a full week after the council approved the contract. Seattle City Councilmember Lorena González said she’s pushing to find out why lawyers for the city and the police officers’ union privately agreed to delay the public release of an arbitrator’s ruling to reinstate an officer fired for punching a handcuffed woman until after the council voted on a contentious new labor contract for police. “If there was an intentional attempt to delay an arbitration decision for purposes of creating political influence, that is a concern to me and I think it should be a concern to the general public,” González, who chairs the council’s public safety committee, said Wednesday. “And we’re going to get a better understanding of exactly what happened and why it happened,” she said. 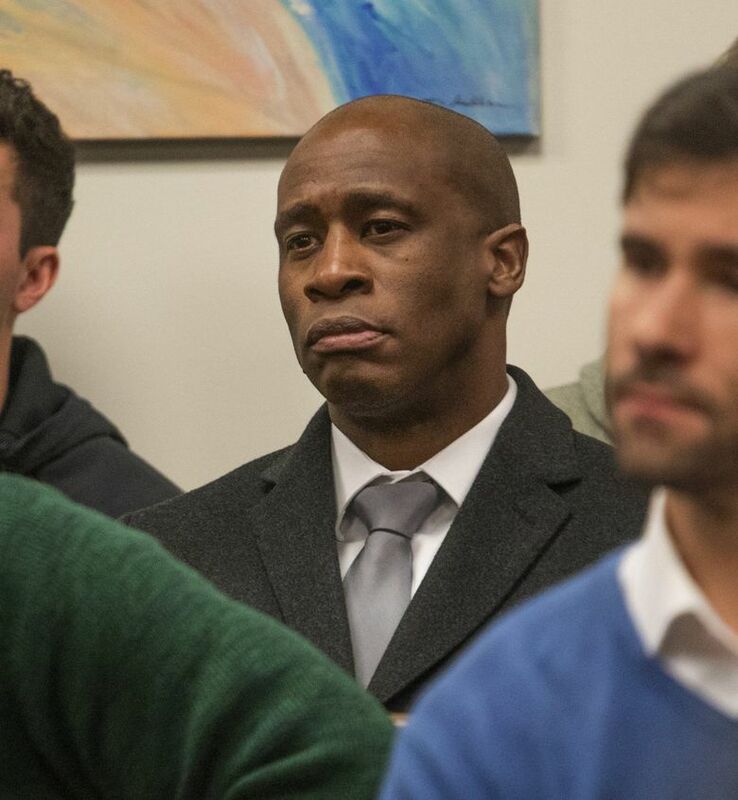 The decision to reinstate Officer Adley Shepherd after his 2016 termination and reduce his punishment to a 15-day suspension — a ruling in a highly publicized excessive-force case that was likely to be used by critics of the contract — was completed by Oct. 31, according to a Jan. 14 Seattle Times story that cited emails obtained earlier this month. It needed only to be signed by the arbitrator and representatives of the Police Department and union to be finalized. Instead, the document would remain unsigned and under wraps for nearly three more weeks, the emails show. During the delay, the council on Nov. 13 ratified the tentative police contract pushed by Mayor Jenny Durkan and the Seattle Police Officers Guild (SPOG), despite deep concerns about disciplinary changes in the agreement raised by a police oversight panel, two dozen community groups and a federal judge overseeing a 2012 consent decree that required the Police Department to adopt reforms to rectify excessive force. This month, Shepherd told The Times he learned about his successful arbitration ruling a few days after the new police contract’s approval, when his union’s vice president, Sgt. Rich O’Neill, informed him it had been intentionally delayed until after the council’s vote for political reasons. Emails among members of the Discipline Review Board involved in Shepherd’s arbitration don’t explicitly say why lawyers for the guild and the city agreed to put off finalizing the ruling. But they show Suzanne Parton, a board member representing the police guild in those negotiations, characterized the delay as “possibly unethical. “I simply do not see how delaying the process for some political purpose is appropriate,” Parton wrote in a Nov. 4 email to arbitrator Jane Wilkinson. Durkan spokesman Mark Prentice said Wednesday the mayor’s office wasn’t involved in discussions about the timing of the ruling and didn’t learn of the decision until Nov. 19. He said “at no time would we have withheld that information from the City Council or the public. González said Wednesday she doesn’t totally buy the city attorney’s explanation. “I think there have been a lot of explanations that this is related to logistics and nothing else, and I have a hard time believing that it was purely about logistics, based on my review of the emails,” she said in an interview after a regular meeting of her committee concluded. A draft copy of the delayed ruling shows it included a provision for the city and guild to meet, confer and attempt to address unresolved issues related Shepherd’s reinstatement for up to 90 days. González said council members were not informed about the arbitration decision before they voted on the new labor agreement, and she’s asked for further information from the mayor and city attorney offices. González said she needs to learn more before deciding whether to take further steps, including a public hearing to get answers. In 2014, a council committee held a public hearing over the reversals of misconduct findings in the Police Department. Nolte declined to comment Wednesday pending further discussion with González. The Community Police Commission (CPC), a citizen oversight panel that urged the council to reject the SPOG contract over various issues, also has raised concerns about the delay in releasing the arbitrator’s ruling. Citing the story, the CPC noted the arbitrator had reached her decision before the council’s vote to ratify the SPOG contract, as well as before the city and the Department of Justice, which obtained the consent decree, appeared on Nov. 5 in front of U.S. District Judge James Robart for a status conference. “That ruling was information the public, Councilmembers and the Federal Court should have been immediately apprised of, since it was directly related to the contract,” according to the commission, which was created as part of the consent decree. The mayor’s office has not queried SPOG, he said. Prentice reiterated Wednesday that, before the council’s vote on the contract, Durkan supported eliminating the appeal process under which Shepherd’s case was heard and would have emphasized that to the council had she known of the arbitrator’s ruling. But while the contract altered some aspects of the process, it retained the use of closed-door arbitrations, shifting away from language in a city ordinance that would have placed appeals under a city hearing examiner and review panel. “If a decision was made by some City officials and SPOG to keep the public, elected officials and oversight entities from learning about the ruling until after the City Council’s vote to ratify the SPOG contract, it is enormously damaging to the community’s faith in the police reform process,” the statement added.